Clean-Up Volunteers, Sign Up Now! This will be our first time hosting a clean-up out of the Weldon Spring Conservation Area site. We are so thrilled that we will once again be able to clean up locations that we've never done before. We always love coming to the St. Louis area and this one is no different! Please join us for a day of stewardship and some Big Muddy fun. Registration will open as we get closer to the date. Make sure to check back for updated information as the big day nears. 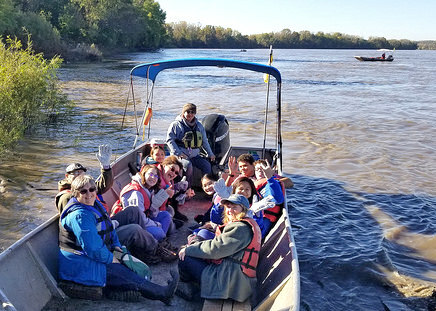 Come join us and hundreds of volunteers from the surrounding communities on Saturday, September 14th, 2019 to work together in stewardship on the banks of the longest river in North America. We will be loading volunteers on boats starting at 9:00 a.m. to scouted trash sites along a 10-mile stretch of river from the Weldon Spring Conservation Area Boat Ramp. 9:00 a.m. to noon. Registration begins at 8:30 a.m. Please pre-register online here as we only have a limited number of spots. If you arrive later than 10:00 a.m. it may not be possible to get you on a boat in the morning. Minors must be accompanied by an adult. Weldon Spring Conservation Area - From the conservation area entrance follow the gravel road (and Missouri River Relief signs) down to the boat ramp. Boats will ferry teams of volunteers to locations along the Missouri River for a couple of hours to gather trash for later disposal. Volunteers that would rather work on land should let us know that when you register online. 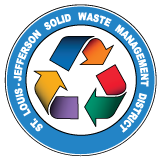 Volunteers will receive a free Big Muddy boat ride, cool t-shirt, life jacket, trash bags, gloves and a reusable water bottle. A hot lunch will be served around noon to all volunteers! Vegan, vegetarian, and gluten-free options will be available for folks. Please include dietary requests in your online registration so we make sure to order plenty. We'll also have a fun and lively trash contest, a favorite for kids and the young at heart. Be sure to hang on to those strange or interesting trash treasures you find during the morning clean-up! Dress in layers for changing weather conditions. We'll clean-up rain or shine! Wear both work and weather appropriate clothing. Long pants are strongly recommended as weeds and poison ivy can be thick. Sturdy shoes or boots are required; no flip-flops or open-toed shoes are allowed on boats. Bring sunscreen, bug spray, and snacks to tide you over until lunch.